Last weekend, my cousin Allan visited New Brunswick from his home in Massachusetts. I hadn’t seen him in more than 35 years. His father – my father’s brother – died in May after a long period of failing health. He was the oldest of the family. That leaves my father and another uncle as the only ones left. Still seems hard to believe that everyone is gone except for those two. I still catch myself nearly asking relatives if they’ve talked to a certain uncle or aunt lately, only to catch myself when I realize that they’ve passed away. Let’s just say that if they had indeed heard from those who’ve passed on, I’d give them a strange look, to say the least. Then, I’d probably run. Anyway, a few cousins dropped by my uncle and aunt’s house (where Allan was staying) to say “Hi!” Like me, they hadn’t seen him in several decades. All of a sudden, my uncle said something that really struck me. I’m just getting used to answering telephone calls from a certain aunt that don’t end up being death announcements. Now, she just calls when she has problems with her computer or Facebook. I’m still programmed for bad news, though, whenever I see her telephone number show up on my caller ID. I pick up the telephone, wince and brace myself for the latest tragic news. Thankfully, the latest call wasn’t that someone had died, it was that she couldn’t get her games to work on Facebook. She was scared that her sisters would beat her in the scores. I guess they’re quite a competitive bunch! With that said, maybe it’s time to get a little family reunion planning underway before the next obituary-mandated get-together comes along. No one seems to be on the precipice of a long-term dirt-nap just yet, but you never know. Fate has a funny way of shuffling the deck of cards sometimes and dealing you the ace of spades. 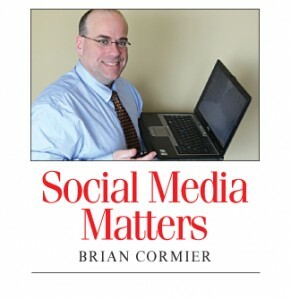 Today, with social media, it’s so easy to organize these types of events. My 30th high school reunion is next year (I’m crying inside, trust me… 30 years!) and my 25th anniversary of graduating university was this year. I still find that hard to believe. The college crowd plans on getting together again next year, so 2012 could very well be christened the Year of the Reunion. Four years ago, when the last reunions were held, it seems like Facebook was just taking off. Today, it’s a quasi-essential tool for staying in touch with friends and business contacts alike! I don’t mind admitting that I’d be completely lost without Facebook and can’t imagine life without it. I’ve reconnected with so many people that it just boggles the mind. And you know what? That’s a good thing! It’s important to want to get together with old friends and far-away family from time to time. When my cousin Allan laughed, I saw a lot of his father in him. When another cousin laughs, I swear it could be my grandmother. The mannerisms and speech patterns of other cousins bring back fond memories of aunts and uncles who have long since passed away. My aunt described where she and my uncle chose their gravesites. When they go, they’ll be in the same general vicinity as another uncle and aunt, as well as my grandparents. It will be like a family reunion all over again – except I hope they’ll forgive me if I don’t show up to that one for a few years yet. The traffic noise would have to be pretty loud for dead people in the graveyard to lodge a formal complaint. Then again, you can be pretty darn sure that the heavy equipment operators would turn down the volumes on their equipment if they saw a crowd of permanent graveyard tenants dig themselves out and wander over the complain about the racket. That reminds me. When I send out the invitations to the family reunion, I’ll have to remember to include one requirement: No smoking… and no zombies! Featured YouTube channel #11: Crosby’s Molasses Co. Ltd. Established in 1879 in Yarmouth, N.S., Crosby’s Molasses Co. Ltd. relocated to Saint John, N.B., in 1897 and has been a successful New Brunswick-based business ever since, supplying generations of Canadians with — you guessed it — delicious molasses! In addition to a really nice website that’s chock full of recipes, Crosby’s recently delved into the world of social media by producing a very clever and refreshingly risqué YouTube video that’s funny, informative and very entertaining. Featuring the company’s oh-so-sweet-and-innocent (or is she?) Grandma Fancy character, their Grandma Fancy’s Sticky Buns recipe video is a professionally made treat to watch! This is a great thing to see from a local company — especially one that’s more than 130 years old! I even know people who felt inspired to make the recipe after watching the video… and I’m happy to report that they thought Grandma Fancy’s Sticky Buns were delicious… just like Grandpa Fancy does! 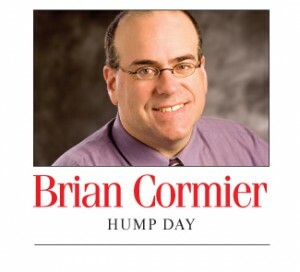 The video was produced by M5, a marketing and communications company with offices in Moncton, St. John’s and Halifax. It’s really great to see a New Brunswick company use humour in their YouTube campaign! A few words of advice to Crosby’s: the YouTube channel isn’t branded (at least at the time this post was written) and the video looks like it has no keywords attached to it. It was nearly impossible to find in the YouTube search when using a variety of keywords other than the very specific “Grandma Fancy”. 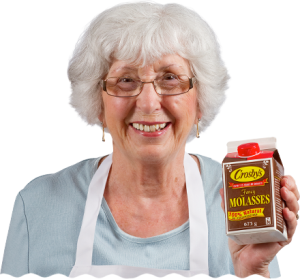 Even “Crosby’s Molasses” didn’t bring it up, which tells me that there are no keywords attached to the video. As well, the YouTube video has no description. At more than 1,500 views so far, that’s 1,500 missed opportunities to tell us more about Crosby’s. Just a friendly suggestion that the company’s YouTube channel could use some branding, care and nurturing. By doing that, Crosby’s will increase the effectiveness of the video’s marketing results rather than just using YouTube to host the video for embedding on the corporate website. YouTube is the world’s third most popular website after Facebook and Google, according to Alexa. It’s more than just a host for videos! Embrace its power and use YouTube to drive more people to the company’s website! SACKVILLE, N.B. – Professor Emeritus Jack Stewart, Chairman and Chief Scientific Officer of Soricimed Biopharma Inc., is this year’s recipient of the prestigious New Brunswick BioSciences Achievement Award. The presentation was made at the 2011 New Brunswick BioScience Celebration and Banquet held at Mount Allison University as part of National Biotechnology Week. Launched in 2004, the New Brunswick BioSciences Achievement Award has celebrated outstanding contributions to the global scientific community and/or socio-economic improvements through bio-science. BioAtlantech leads this annual award in tandem with its partners. The evaluation criteria also account for the candidate’s collegiality and leadership. 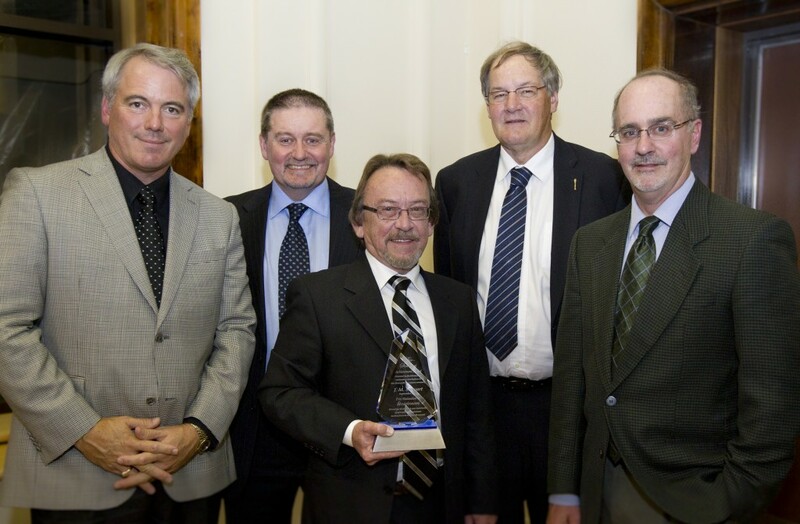 A panel of judges from New Brunswick’s bio-science community evaluated half a dozen exceptional candidates for the 2011 Bio-Sciences Achievement Award before deciding on Stewart as the chosen recipient. “I would like to sincerely thank BioAtlantech, its partners and the distinguished panel of judges for choosing me as the 2011 recipient of this award,” he said. Stewart was full professor in the biochemistry program at Mount Allison University until his early retirement in 2009. He has twice been the recipient of the institution’s Paul Paré Imasco Award for excellence in teaching and excellence in research and recently granted Professor Emeritus status. The major focus of Stewart’s lab was metabolic adaptations in animals, and protein biochemistry and was supported by the Natural Sciences and Engineering Research Council and the Heart and Stroke Foundation. Early soricidin research was supported by the Canadian Institutes of Health Research. Stewart is the senior author on six patents and has published extensively with more than 30 peer-reviewed publications, dozens of presentations and lectures, presentations at academic conferences, and industry recognition awards. • co-ordinates networking opportunities for the sector. Soricimed Biopharma Inc. is a private drug development company created in 2005 by Professor Jack Stewart and Paul Gunn following the discovery and development of a proprietary peptide, soricidin. Soricidin is the basis for Soricimed Biopharma Inc.’s targeted cancer management program focused on an ovarian cancer therapeutic and a companion diagnostic. Using focused innovative strategies in collaboration with major world-class cancer research institutions, Soricimed’s drugs have demonstrated a capability to reduce cancer cell viability and induce apoptosis (in vitro) and to reduce human tumour volume (in vivo) with no demonstrable serious side-effects. Soricimed receives its funding from a variety of sources, including private investors, the Government of Canada and the Province of New Brunswick. Fall arrives at 6:05 a.m. on Friday. This means that tomorrow is the last full day of the summer of 2011 – the summer that never was for most of you summer lovers. Seems like it rained most of the time, didn’t it? Ah, well. Other areas experienced drought. We had the opposite. Neither is great to have. At least everything was nice and green in these parts. It was one of the few years that my lawn didn’t turn brown, at least. Usually, my poor lawn – at least the front one – was half deceased by the time autumn rolled around. This year, though, the abundant amount of rain ensured that it continued to look like a lush, green jungle right through to September. I was half expecting to see herds of zebras and gazelles migrating through it. With the arrival of fall, though, come the cries of “Oh woe is me!” from the summer lovers, of which I am not. I understand the attraction, certainly. No need for heat. If you’re cold all the time, then summer is usually a reprieve from constantly shivering. It’s light outside until well into the evening, so we save on electricity bills, too and it gives friends and neighbours a chance to socialize more outside during the longer days. And then there are vacations, of course! A chance to spend time visiting faraway places in search of adventure or simply taking day trips in the local area to learn more about our own backyards. It’s the new television season! Sick of reruns? Then this week is for you! Between the new and returning series, there’s enough to keep any television junkie satisfied! Sad to see all the summer reality series come to an end, such as Big Brother and Hell’s Kitchen? There’s a new crop starting up this fall: The X Factor, Dancing with the Stars, and Survivor. Whatever your guilty pleasure is, the fall can mean a few good laughs, thrills and chills in front of the TV after a long day of hard work. The nice weather. You always hear people say, “It’s not the heat, it’s the humidity!” If you have air conditioning at home, humidity is a non-issue, but the more humid it is, the more uncomfortable it is. In fact, I don’t know many people who really love the humidity. It really bogs a person down, doesn’t it? I’m certainly one of those who doesn’t enjoy feeling like I’m underwater when I’m walking down the street! The colours. Summer may have its lush green trees and bright flowers, but there’s nothing like the spectacular colours that fall brings. Take a drive through Albert County later this month and admire how Mother Nature took her orange, red and yellow paint brushes to all the trees. Even if you’re crying yourself to sleep because summer’s on its way out, you must admit that the fall foliage in these parts is something to behold! It’s time for back to school. If you’re a stay-at-home parent, you just got some sanity back. Enjoy it. Run around the house naked. Take a nap. Sit in the middle of the kitchen and listen to the silence. No kids arguing. No “Mom!” or “Dad!” Just blessed silence… until about 3 p.m. when the mess-making tornadoes plow through the door. The nights are cool and it’s easier to sleep. Some nice warm blankets make it that much cozier. There’s only so much a person can take off before they’re lying on top of the covers naked with huge fan blowing air all over them in order to try and cool off. Been there, done that. It ain’t pretty, folks. Turn away. And no, feeling your retinas sizzle and having smoke rise out of your irises aren’t good signs. Halloween. I hate Halloween, but so many people enjoy it and it’s great for the kids. And it’s another reason to decorate if you’re into that stuff! Thanksgiving! Ah, time for turkey and enjoying the bounty of the harvest! Farmer’s markets. There’s no better time of the year to visit a farmer’s market than the fall. Everything’s fresh. Everything’s plentiful. The cool, crisp air of a Saturday morning at the farmer’s market can’t be beat! “Return to normal” for consulting businesses. If you’re a consultant, like me, you’ve likely noticed that summertime is not exactly great for business. Sure, there are some things going on, but July and August are not exactly “feast” months in the consulting business. Come September, though, the calls start coming in again as clients return from vacation and projects get underway again. Fresh pumpkins. Pumpkin pies. Pumpkin jam. Ah, nothing better! Fresh squash. If you’re not a fan of squash, you’re missing out on something delicious. I didn’t start eating squash until later in life, but it’s one of my favourites now. So good when accompanied by ham or turkey! A new beginning. Next to the “real” beginning to the year on January 1, Labour Day seems to be another time of the year when people start new diets, new projects, new jobs, new schools, new adventures. It’s a new season of hope! Whatever your reason, enjoy this fall. I can smell the pumpkin pie now!